Hundreds will gather at St. Mary’s Church, Ballybrack this Sunday at noon to remember those lost on the Carrickatine twenty years ago. 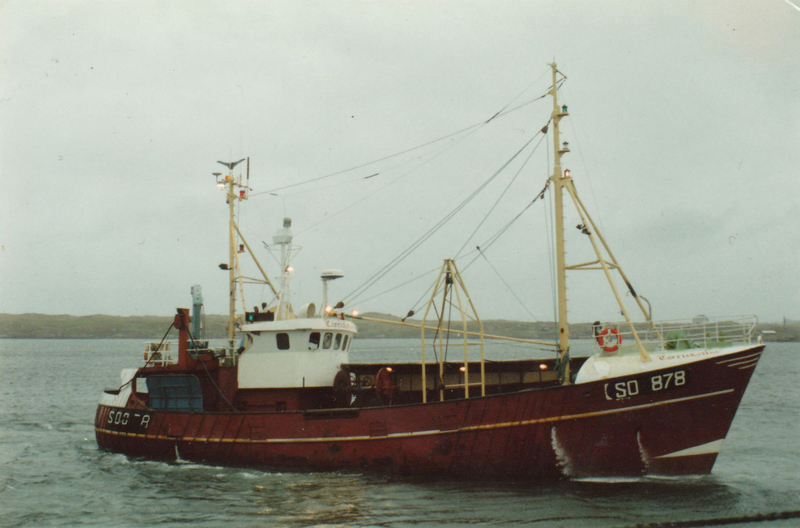 Six local fishermen died when the Greencastle-based trawler sank without trace during a raging storm on November 15, 1995. It was the worst fishing tragedy in modern Irish history. The largest rescue mission ever launched by the State failed to locate the boat or any of the missing crewmen and was eventually wound down the following February, when grief-stricken relatives huddled together on board the ‘LE Eithne’ for a funeral at sea. The tragedy, which led to the introduction of a number of new safety measures on fishing boats, will never be forgotten in Inishowen. Two decades on, and the Carrickatine families remain united by grief; their loved ones still missing. Josephine Kelly, who lost her husband John and teenage son Stephen, said the pain has not been eased by the passage of time. Gina Harkin’s only two brothers, Conal and Jeremy McKinney, died when the boat vanished. It took her ten years to ‘get my head around it’. Bernard Gormley didn’t make it home that night as planned to celebrate his eighteenth birthday with family and friends. His mother Eileen still thinks of him every time she gazes out to sea. Bernard’s sister Mary said her late father Cyril ‘broke his heart’ the day his son went missing. Mary Doherty sometimes struggles to believe that her son Terry has now been gone for twenty years. Former Moville parish priest Fr. George McLaughlin, who found himself at the centre of a media storm, said the loss of the Carrickatine had left a ‘terrible mark’ on the community. He said his abiding memory of the tragedy is the strength and dignity of the bereaved families.